Antoine Bouvard Senior (French, 1870 – 1956), also known as Marc Aldine was born at St. Jean-de-Bournay in L’Isere in 1870. He trained as an architect and studied art and architecture under Constant-Dufeus, at the Ecole des Beaux-Arts in Paris. He became the Director of Architectural Services for the Seine, and was responsible for the construction of the Bourse du Travail and the Boulevard Morland in Paris. 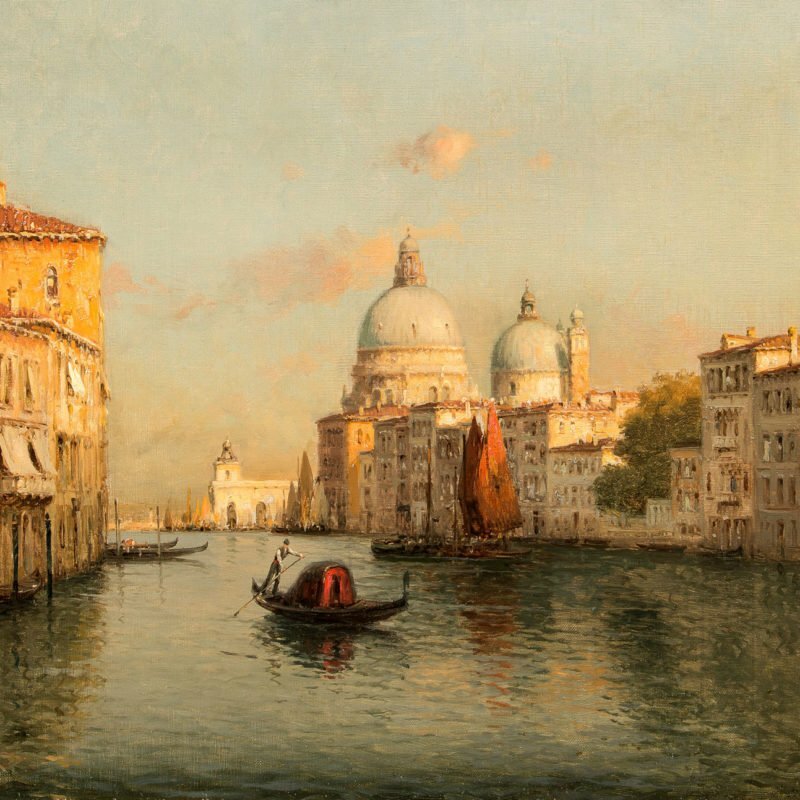 Known as a painter of Venetian subjects, he worked during the early part of the 20th century, becoming one of the most prolific painters of Venetian genre from this period. Bouvard’s works are broad and confidently painted, capturing all the atmosphere and charm of one of the most beautiful cities in the world. He exhibited throughout France and Italy as well as in many provincial European galleries during his own lifetime.